Sue had booked my DJ services from 6.30pm till 11.30pm. 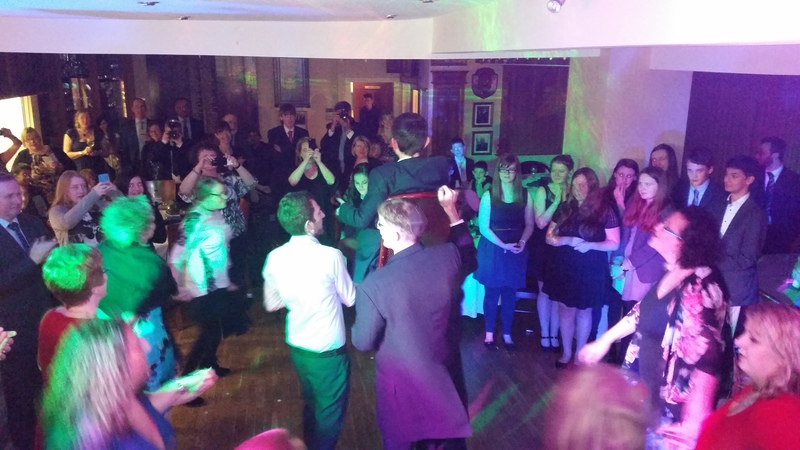 This included me playing a selection of traditional Israeli songs for dancing too at the start of the evening & some fun getting Alexander up in the air on a chair! Suitable background music during dinner, use of my microphone for the speeches & the main disco using a popular selection of chart & party hits to keep the dance floor moving!